A few weeks ago my son Jerrod and I were having dinner at Corky’s BBQ, the store I sold about ten years ago. Very interesting that my daughter Jordyn is now a hostess there. While there, some of the managers came to chat with us and brag on my daughter. Of course as her father, I am not surprised. Who knows? I may be back in the restaurant business one day. After all, I started at the bottom. Actually, she’s ahead of her old man. I started as a dishwasher. Anyway, the managers were telling me about how slammed their catering was in May. Between graduation parties, company picnics and even a very large Hospital Week event, they were covered up with catering. I have talked with a lot of clients and potential clients lately. They’ve all experienced similar caterings. May was always my favorite month, as we blew our sales and profits out of the water with catering. As Christmas only comes once a year, so does the busy catering month of May for many of you. That’s why niche marketing of catering is so important. I hate sitting by the phone waiting for people to “discover” me. I am proactive and happy to make things happen. Since most of your catering competitors will not even bother to tap into niche catering opportunities, you have an unfair advantage should you wish to go that route. Now is the time to be thinking towards August catering sales. The one niche that will be ordering catering all over America are schools catering in breakfasts, lunches and afternoon snacks for teachers in service meals. Teachers in service is like spring training for the education system. They report to school a week or two before the kids to set up their rooms and receive continuing education for the upcoming school year. So if you are looking for your own catering windfall in August, now’s the time to target elementary, middle and high school principals. It all starts with the list. Since the number of schools in your market will be relatively small, I would either download them through a service like Hoovers or Info USA. They both have options that have no minimums for do it yourself list rental. Their web interfaces are easy to use. The other thing you could do, is Google your local schools. You should also look up schools via your local school board(s) website. I like to have my list in a spreadsheet, then find someone to call to get me the name of the catering decision maker. As opposed to going through a complex script, just get the name of the school principal. I would mail merge and send the letters out about a month before teachers in service starts. I like to drop my letters on a Monday. This ensures most prospects will receive them by Wednesday. I would wait until the following Monday, one week after the letters were mailed, to call all of the principals. The letter ensures you are making a warm call at worst. Ask for the principal and reference the letter you sent him/her. If the principal isn’t the catering decision maker, ask for the contact. Calling someone at the school saying you were referred by Principal Jones is a strong door opener. Now let’s be clear. There is no such thing as 100% success rate on any marketing strategy. Your goal should be to get a high ROI for your effort. If you targeted two hundred schools and sold over three thousand dollars’ worth of catering, that would be pretty good. The side benefit to this promotion is getting your catering business in front of your local schools. I would go after schools year round. They book athletic events, sports banquets, club meals, teacher’s appreciation luncheons and holiday meals for the teachers. This niche can reward you long past teachers in service. You just need to make sure you don’t give up on the limitless opportunities with the schools. And it all starts by going after your August catering windfall from your local schools. 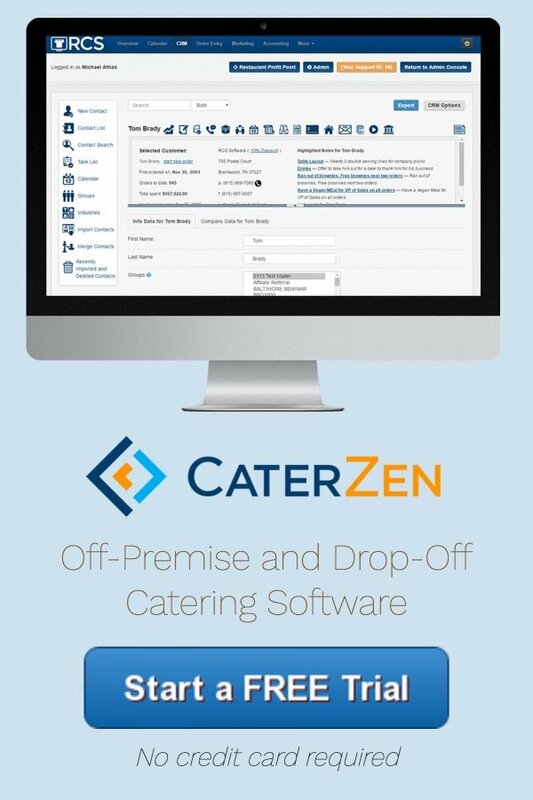 Why are some operators consistently doing 20-30% of their sales in catering? Because when it comes to catering, they have…Mastered The Game! These operators use certain sales, marketing and operational strategies to build a large, recurring catering revenue generating profit center. Guess what? 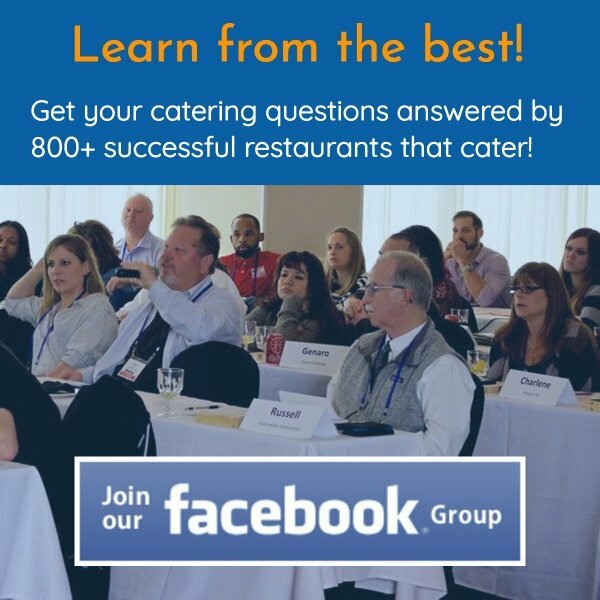 Go to www.FreeCateringWebinar.com and register to attend my webinar on Monday, July 6, 2015 at 7pm Eastern (6pm Central, 5pm Mountain, 4pm Pacific) and you, too, can master the catering game and win big!! !